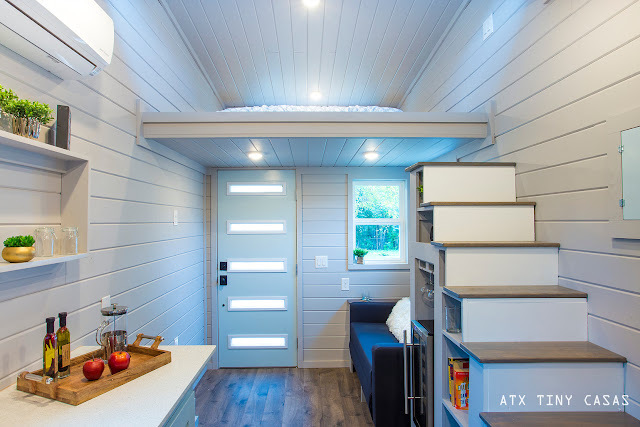 For fans of modern homes looking to downsize, this beautiful contemporary home from ATX Tiny Casas may be right up your alley. Named "The Lady Bird", the home has a unique shape and style with just 224 sq ft of space inside. Its made from durable, light-weight steel framing and comes well-insulated. Despite the home's small size, its carefully planned design capitalizes on all the available room. 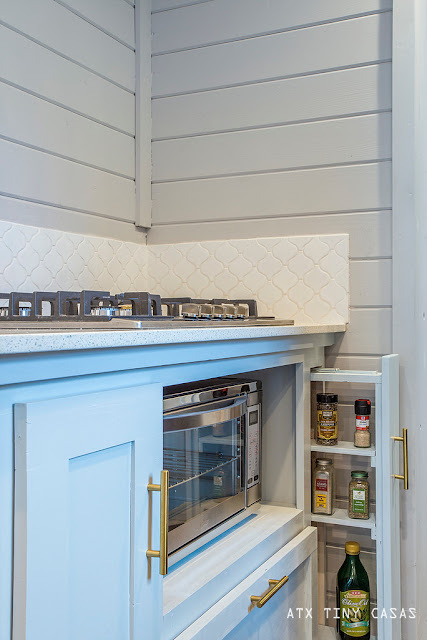 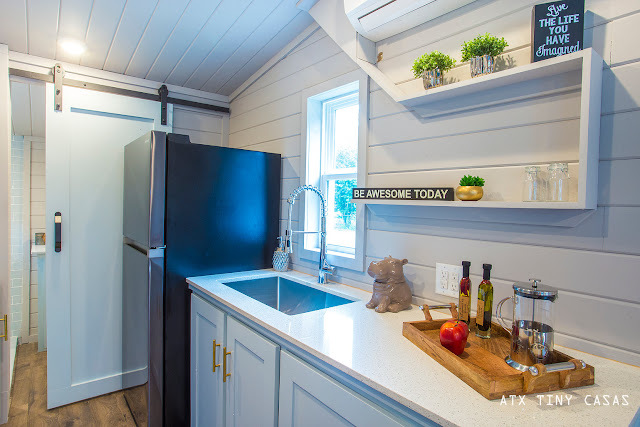 The kitchen features beautiful quartz countertops, custom soft-close cabinets, an over-sized toaster oven, a built-in spice rack, and a large farmhouse sink. 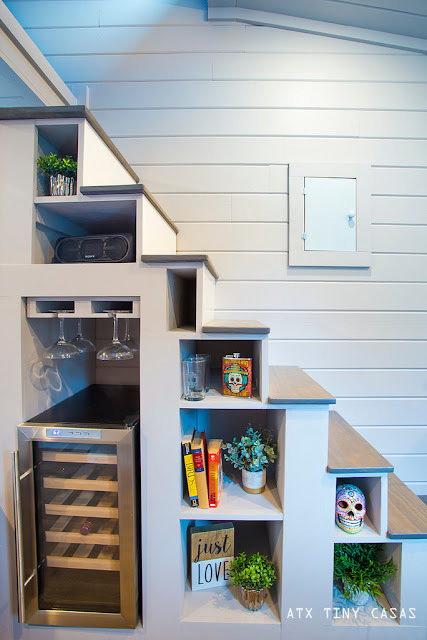 There's even a wine rack for your most treasured possessions. 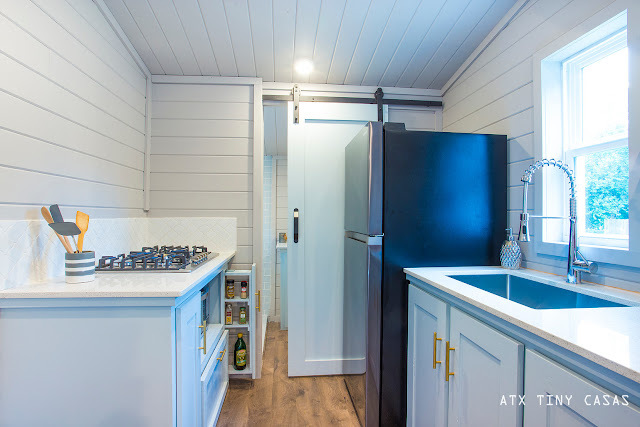 You can also opt to upgrade the appliances to stainless steel if you chose to! 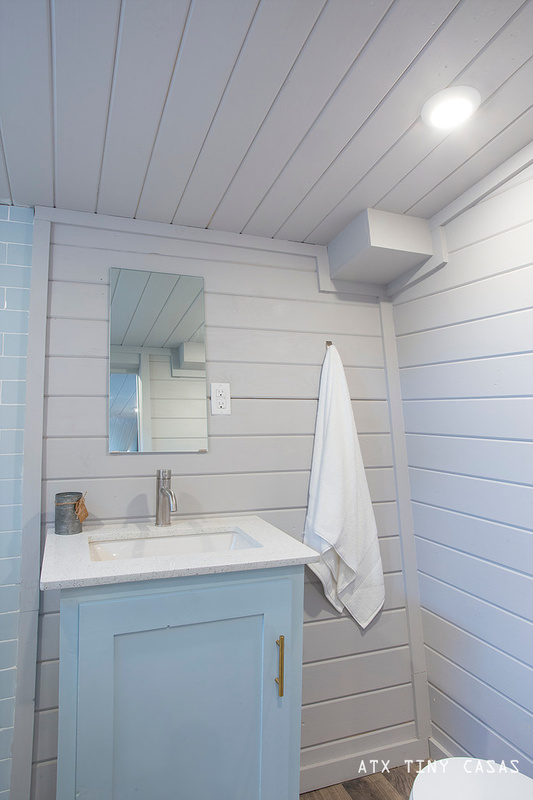 Also included in The Lady Bird is a full-sized bathroom with a conventional toilet, a living room space, and a loft bedroom accessible by stairs. 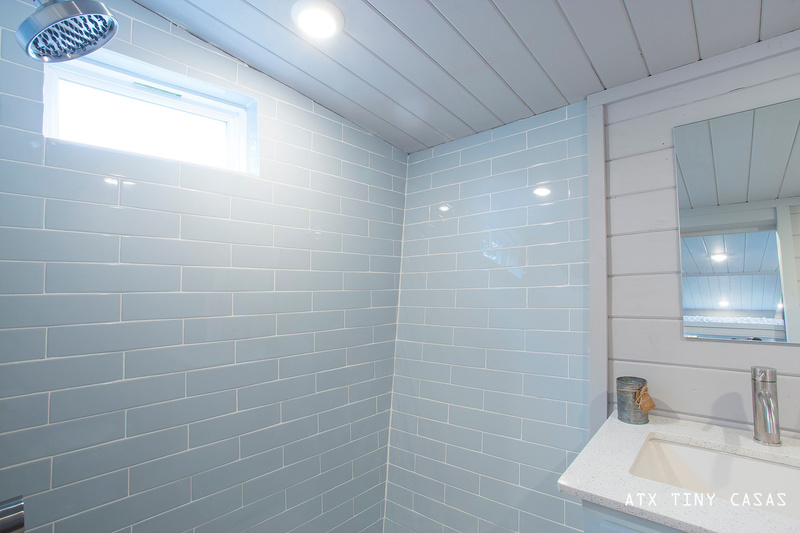 There's also an energy efficient HVAC with a remote and a tankless water heater. 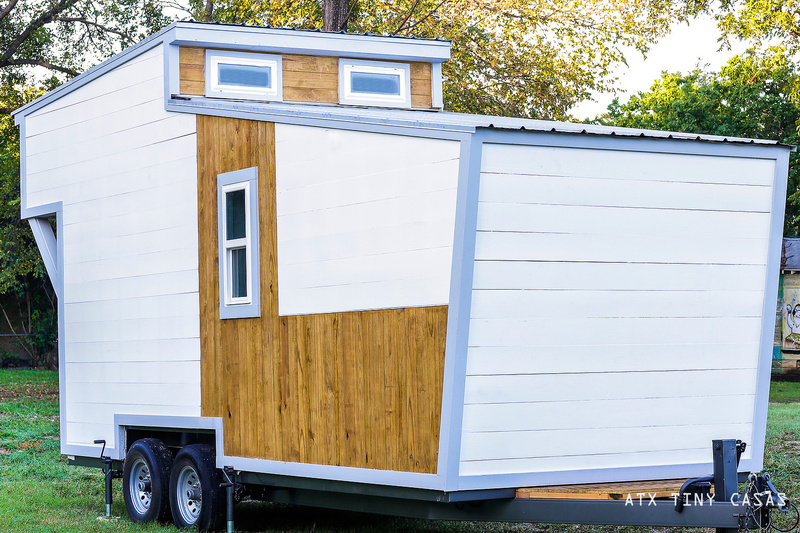 The Lady Bird is regularly priced at $63,500 but is currently offered at an end-of-the-year discount of $51,200. 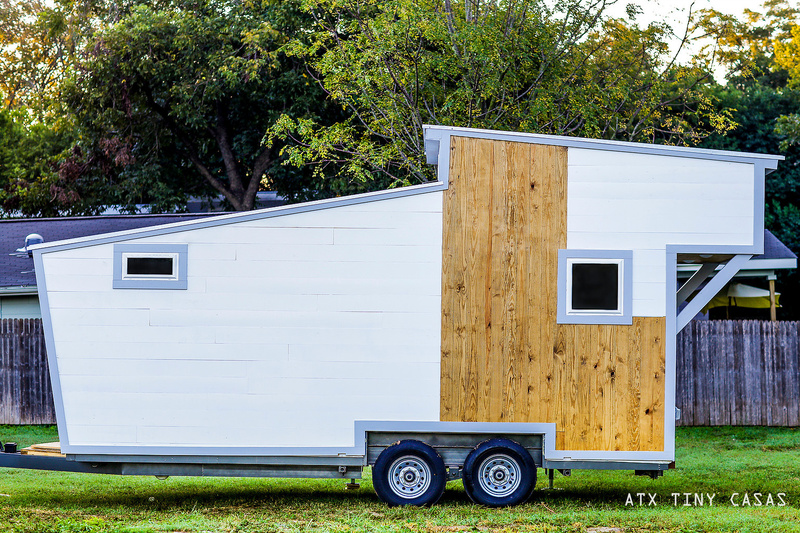 You can reach out to ATX Tiny Casas here for further questions and/or inquiries! 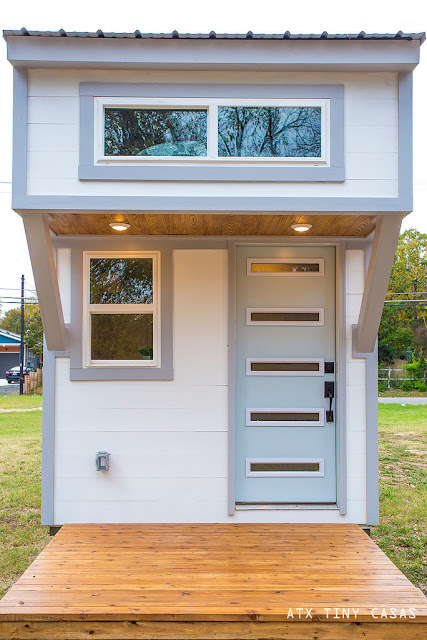 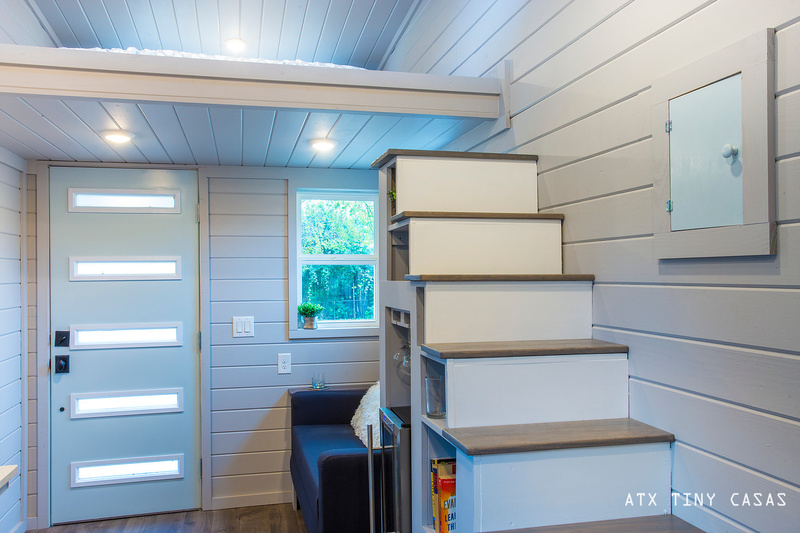 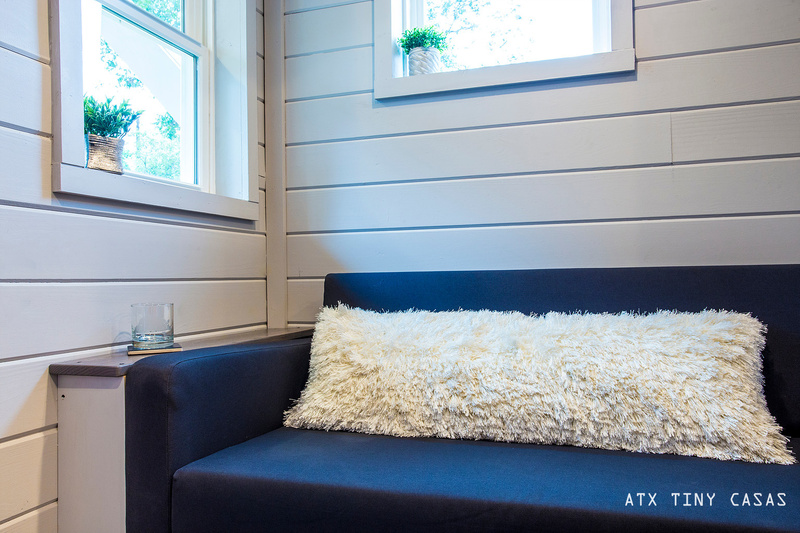 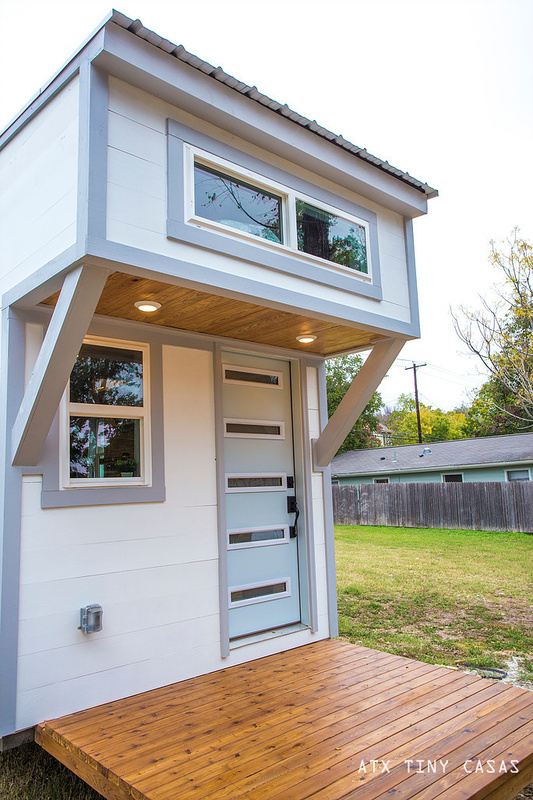 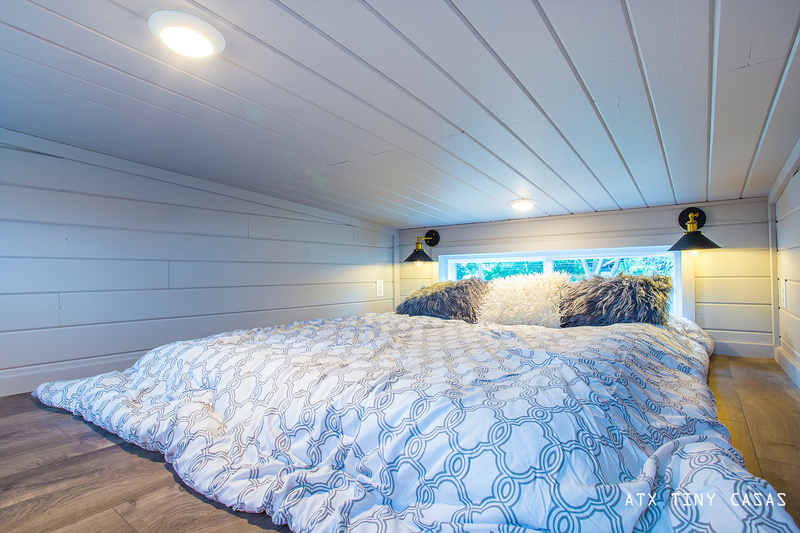 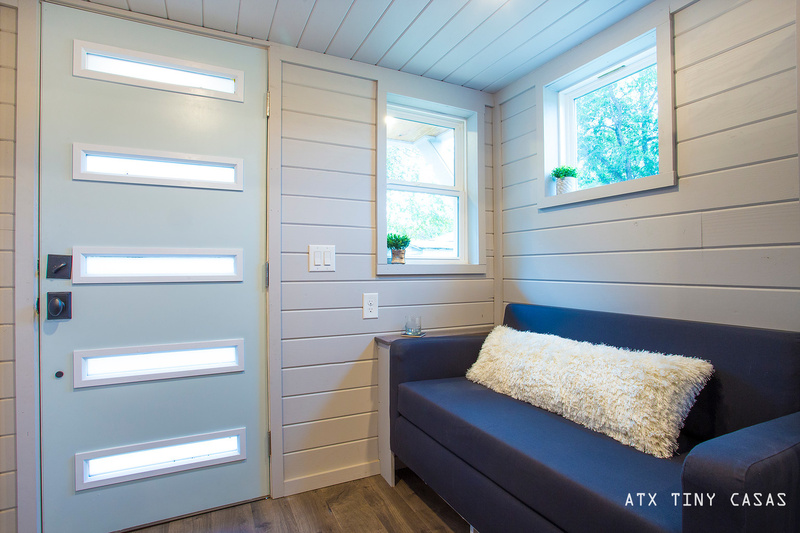 Also be sure to check out another tiny house from ATX here, The Lady Bird!